Last night I had a huge hankering for some of my “famous” primal brownies but since we have a tree nut allergy in the house I knew that wasn’t going to happen. I decided to do a little bit of experimentation and substituted out the almond butter with sunbutter. 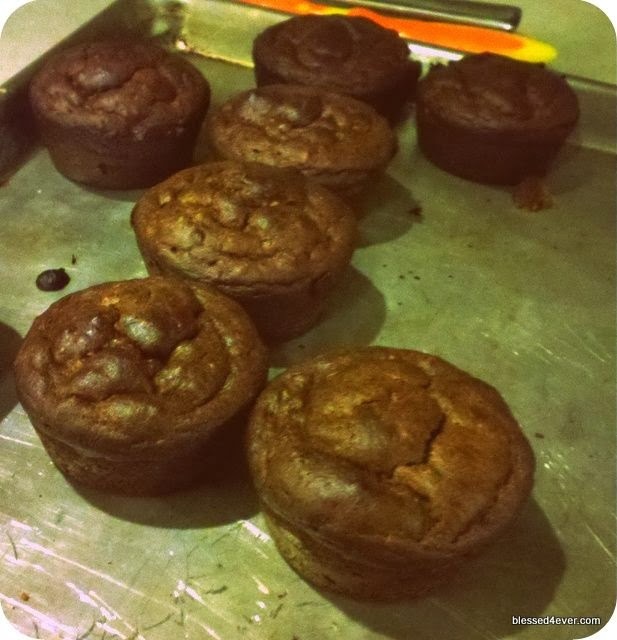 I also poured the batter into cupcake tins instead of a brownie pan. So really these are more cupcake like than brownies. The end result was pretty amazing if I do say so myself. Combine all ingredients in a bowl. Mix well. Pour into a greased cupcake pan. Bake at 350 degrees for 25 minutes or until a toothpick inserted comes out clean. Serves 12.